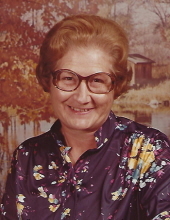 Mrs. Delphia Cox, 90 of Mt. Vernon, passed from this life on Thursday, March 28, 2019 at Lake Cumberland Regional Hospital in Somerset. She was born in Rockcastle County, KY on September 13, 1928 the daughter of Harvey and Bertha Mae Sams Vanzant. She was a retired teacher and a member of Maple Grove Baptist Church. She is survived by her grandchildren: Chris Robinson, wife Althea, and son Logan, Megan Foster and husband Jody, Cody Cox, wife Chloe, and children, Kai and Ayn, Tara White, husband Mark, and children Teagan and Kaelyn, Morgan Robinson and Matthew Durham and children Chevy and Elizabeth, and Michael Robinson; a brother, Curt Vanzant and son Michael and wife Joy, and Delores Reese and husband Larry; and a sister, Doris Durham and husband Randy and son Anthony. She was preceded in death by her husband, Andrew Cox; a daughter, Juanita Robinson; a son, Bobby Cox; and brothers, Hubert, Kenneth, Everett, and Delmer Vanzant. To plant a tree in memory of Delphia Cox, please visit our Tribute Store. "Email Address" would like to share the life celebration of Delphia Cox. Click on the "link" to go to share a favorite memory or leave a condolence message for the family.